Water/Aqua, Ammonium Lauryl Sulfate (and) Ammonium Laureth Sulfate (and) Cocamidopropyl Betaine (and) Cocamidopropyl Betaine (and) PEG-3 Glyceryl Cocoate, Fragrance/Parfum, Aloe Barbadensis (Aloe Vera) Leaf Juice, Panthenol, Argania Spinosa (Argan) Oil. Brush product on small portions of hair, from roots to ends, from nape upwards. Avoid brushing product on scalp. Then blow dry and brush up to 90 to 100%. After ironing treatment is done. For additional shine, we recommend applying Kerarganic Argan Revitalizing Oil. FIRST WASH: First wash can be the same day or one or two days later. If same day, just rinse with water, then towel dry and apply mask. If one or two days later, you can shampoo lightly with Kerarganic Salt & Sulfate Free Keratin Shampoo Maintenance, then towel dry and apply mask. MASK APPLICATION: Apply mask to entire hair, then comb it to spread mask evenly. Put on a shower cap and let it sit for 15 minutes. Then blow dry and style as desired. 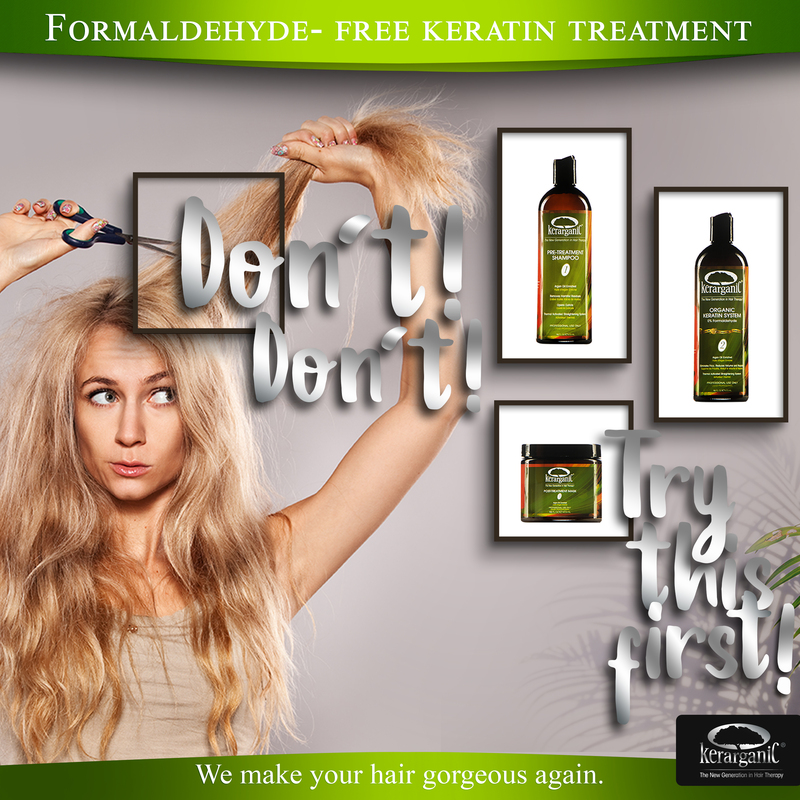 POST TREATMENT CARE: For prolonged results, add KERARGANIC® POST-TREAMENT LINE to your hair care routine: Keratin Salt & Sulfate Free Shampoo, Keratin Post-Treatment Conditioner, Keratin Leave-In Conditioner, Keratin Deep Conditioning Mask, and Argan Revitalizing Oil. Note: Depending on iron temperature and condition of color-treated hair, the treatment might change color 1 or 2 tones. 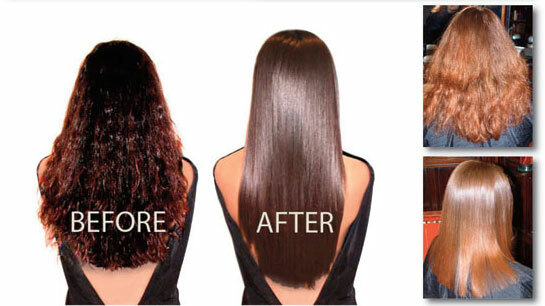 Hair can be colored again 5 to 7 days after the treatment.